At a Common Wealth Theatre performance, there’s no sitting back and letting it happen. Wandering through living rooms, factory floors and boxing rings, theatre-goers are invited into the story – as told by those who have lived it. For our FutureLeagues series, we’ve been getting to know the people, teams and communities that are working together to address social challenges. 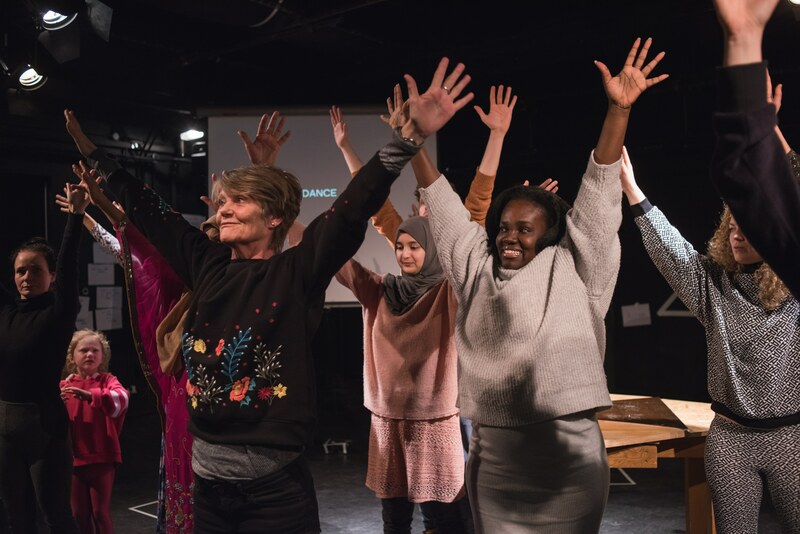 And, like any bold, creative production, Common Wealth involves a huge cast of characters, on stage and off – starting with its founders, visionary dramatists Rhiannon White and Evie Manning. (Read their full FutureLeague interview here). We asked Rhiannon to name five of the people who have helped bring Common Wealth’s radically honest stories to the stage. Then each of them told us more about their experience of working collaboratively to create theatre that doesn’t just make a statement, but starts a conversation. 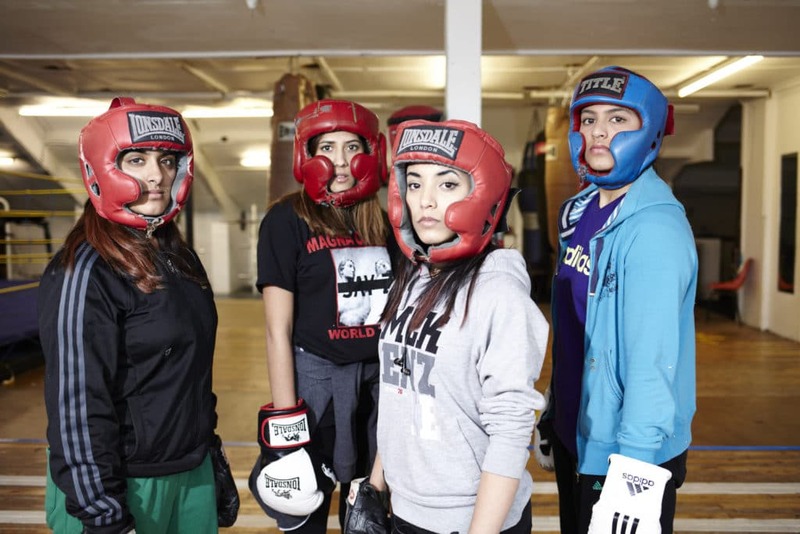 Saira Tabasum became a Universities Champion boxer just a year after picking up the gloves – and then turned her hand to acting when she played the part of a boxer in the stereotype-smashing play No Guts, No Heart, No Glory. Saira is fearless, an inspiration and we’re excited by her raw energy. 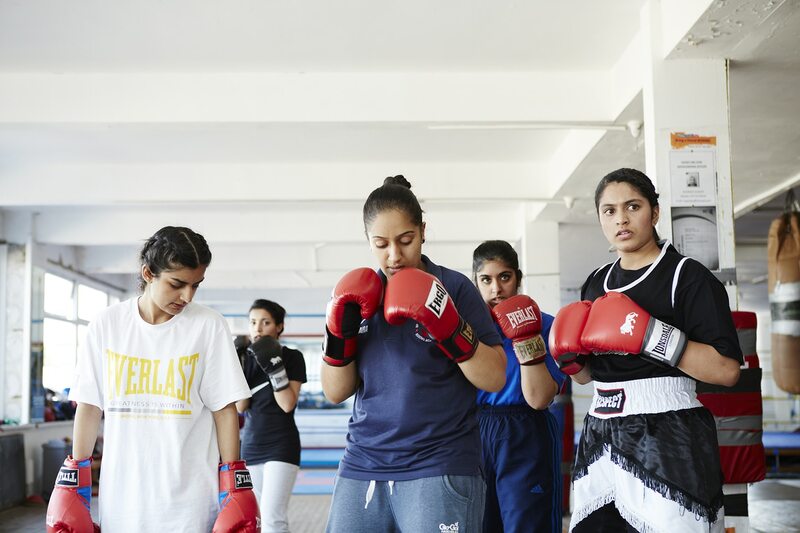 As a boxer she is well versed in courage, discipline and respect. These principles fed into her practice as a performer. Every time we collaborate I learn something new about her and new about myself. What excites you most about your collaboration with Common Wealth? Saira: My collaboration with Common Wealth has been one of the highlights of my life. I genuinely get excited and beam with pride when I share my story about all the opportunities and experiences I had by being a part of the team. What excites me most is knowing that I have that intuitive desire to give new challenges a go without hesitation. I didn’t know I had it in me to act, dance, do Q&As, live interviews and so much more. But having that ‘give it a go’, encouraging Common Wealth attitude allowed me to reach new limits that would have been left untouched otherwise. What does working collectively mean to you? Saira: I believe working collectively means being able to share ideas and collaborate with people from different fields in order to complete a common goal. It means we get to learn from others, hear their take on a situation, provide our own input and then bring the best ideas together to make it work. Obviously we may not get the perfect solution the first time around but working together as a team, seeing what works and what doesn’t means we can achieve the best outcome unanimously. What do you think is the role of culture and creativity in creating a better future? Saira: Diversity is key in bringing about change. We need vibrance and colour in our lives. If everyone was the same then what fun would it be? It may seem one culture is totally different to another, but by sharing cultural beliefs and being creative it can provide a sense of unity, belonging and security which is integral in harmonising communities and seeing a brighter, more cohesive future. Gareth Chambers is a visual artist who brought his distinctive and deliberately non-traditional artistry to CLASS and The People’s Platform. He uses dance and movement to create work that is all about inclusion, particularly of the working classes and the LGBTQ community. For him, the human body is a canvas or a tool – which is why you can often find him covered in paint or buried in Cheerios. We love the way Gareth sees the world and how he creates and makes sense of it. He’s a true artist, he interprets what he sees and creates beautiful, symbolic imagery. His work with people new to dance is incredible. He’s gentle, playful and fully supportive in developing a practice that works with everyone. Gareth: Sometimes in life we are practically forced to work with folks we really don’t want to be with. The energies aren’t right, they are annoying, they want power over you, etc. I think we’ve all been there. What’s different about working with Common Wealth is that there is none of that. As an artist you create some sort of filtering system which means you now can see through all that crap. 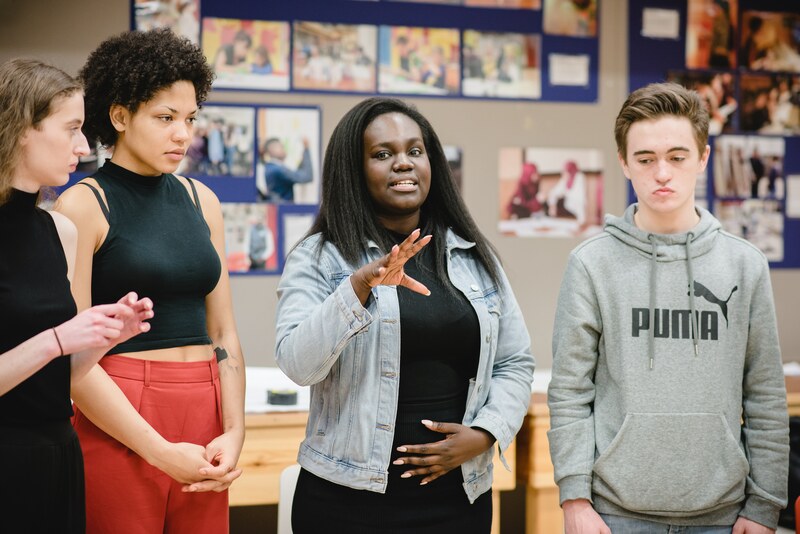 I love collaborating with Common Wealth because we all have one goal in our brains – and that is to create theatre and art which challenges the way we see how the world we live in operates. Gareth: It’s all about energies. collecting all the narratives, desires, impulses and finding a common thread. Channelling it all towards one objective, taking artistic risk, saying yes rather than no, making mistakes, having active discussions in a safe space, and getting rid of weird hierarchies which are still very much active in performance making world. When it comes to making creatively it’s good to remember that everything is allowed! Gareth: I think that we first need to unpick what we mean by culture within our society. As a concept it is rooted in the exclusion of creative practices, what’s good and has value and what does not… for quite some time now we have been made to believe that art forms such as opera and ballet are the highest forms of culture and expression. This is not true! What we call culture is everywhere and the problem is that some people get money for creating it and some don’t. In order to create a better future we should challenge those who make these ‘cultural’ decisions on our behalf. Not just a great name, Emerald Crankson is one of the artistic collaborators on Radical Acts – a celebration of disobedient action that women have taken to make change, today and throughout history. Thanks to her, 40 women in Bradford have married themselves and paint fights have broken out across the city to make signs that tackle hate crime. What excites us most about Emerald is the way she sees and shares the world with others. Emerald is open, curious and her creativity is contagious. She’s a sharer – sharing her talent, her energy and belief in others. Emerald: What excites me the absolute most about my collaboration with Common Wealth is the amazing and incredible people I have met. Without Common Wealth, I wouldn’t have met anyone from Bradford, let alone have friends there. The fact that Common Wealth works in a collaborative way, has meant that I have made real and lasting relationships with those involved. It excites me that we are all paid for our time. 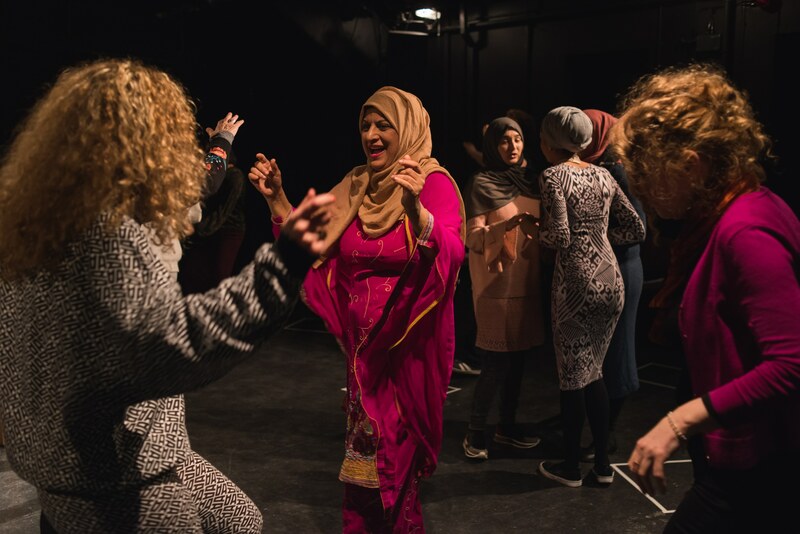 Usually I have worked on projects with ‘the community’ where those contributors would give just as much as any of the ‘professional theatre makers’ on the project, but their time wasn’t compensated, instead it was thought of as an enriching experience. It feels great to be in a room knowing everyone is treated fairly and compensated for their time. Emerald: Working collectively is something that many people try to do, but few achieve. In my eyes, working collectively requires a complete abandonment of ego. Sometimes I feel as though we hold onto titles for comfort, but they can often manifest themselves into ego in what is meant to be a collective process. The times I feel most like I’m working collectively with a group is when I can’t identify any prescribed roles within the group. I remember the first time I worked with Common Wealth on an R&D (Research & Development), we had finished our sharing and I turned to Evie and said, “There wasn’t really a ‘director’ was there?” And she said, “Yeah I know, we all kind of were!”. Of course during that R&D people played to their strengths, but the roles of leader, idea creator or performer were a fluid thing that just happened depending on the feel of the room. It was exciting, as we were working with women who would say this is not their profession but they stepped in and out of those roles as they saw fit. I believe when you work collectively, there’s no limit to where you can go, because everyone’s input, voice, and experience is treated with equal importance. Emerald: Someone recently told me that humans are able to survive because of storytelling. The human narrative is ever changing, and creativity and culture is at the heart of the human conversation. Creativity is needed for us to communicate effectively, to empathise and to preserve our truths. Culture explores our histories and creativity explores the possibilities of our future. When we as people do not put enough focus on culture and creativity, we put ourselves and others in harm’s way. If we just look in history, culture and creativity comes with every war, genocide, famine, collapse of government, etc. Songs are sung, art is created, books are written and plays are performed. It is these creative and cultural efforts that bring about change, and document the human condition. Culture and creativity is innate in us, as is human preservation, and is needed to do better, and be better, to preserve our existence. College student, James Dean lookalike, and professional actor, at just 15 years old Dylan John caught Evie and Rhiannon’s attention at the Operatic Society in Port Talbot. He took to the stage in We’re Still Here to tell the story of Port Talbot’s steelworkers, as part of a performance that the Guardian described as “a blast of anger, love and grief”. The way Dylan sees the world is extraordinary. He’s a watcher, a doer and has brought so much sincerity to his role. 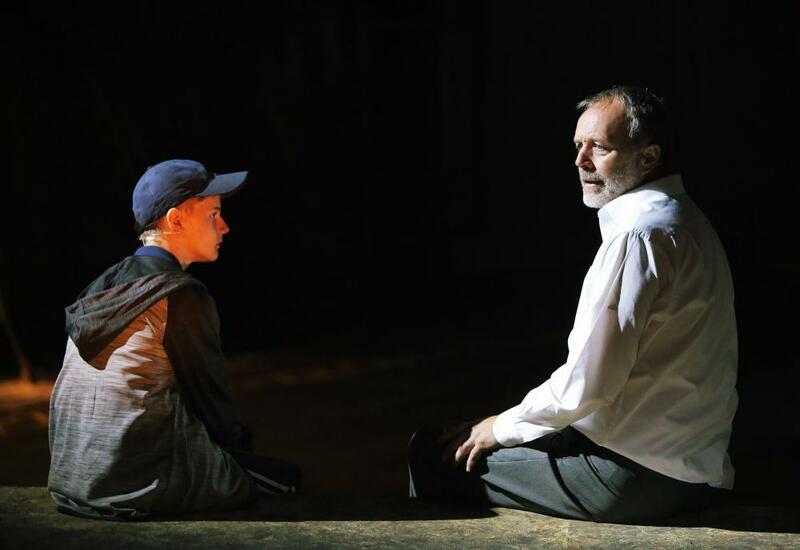 He has played a ghost child, a memory of the past that gives us a reminder of our future – and of how we should be proud of Port Talbot steelworks, the last bastion of our workers and the unions, and celebrate Wales in all its beautiful internationalism. His monologues leave people streaming with tears, for hope of a future that includes everyone. 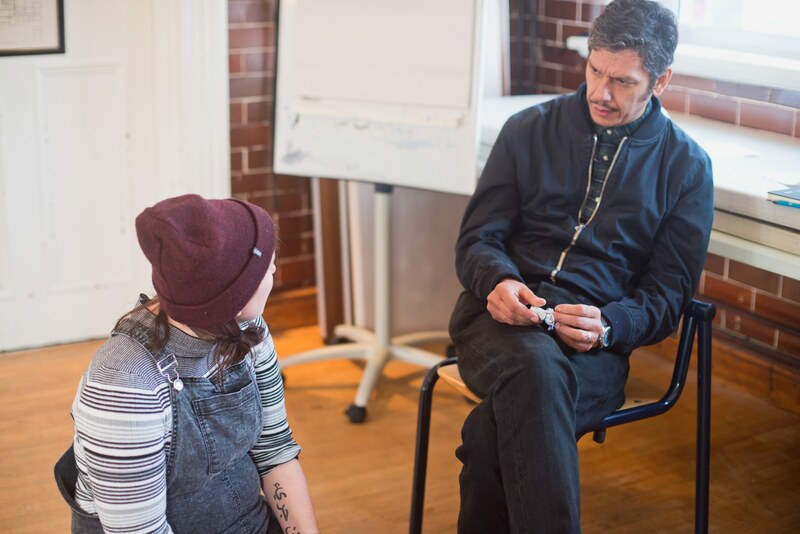 Dylan: My collaboration with Common Wealth was special as it opened up a new whole perspective for me on the different ways that theatre could be interpreted. Before having worked with Common Wealth I was only used to traditional theatre and Common Wealth helped me see that theatre was not just an industry, but an art and a lifestyle. Dylan: Working collectively is really important. Having a big team working together to make something happen is great, because there are not just one or two minds working to create something but instead lots of people who can give ideas and increase creativity. Dylan: In today’s society culture keeps evolving and it is becoming more important in our everyday lives. Everywhere we look, we see lots of different kinds of culture. Creativity is becoming more apparent as well. Especially in this day and age, where creativity is used in almost every aspect of life ranging from business to life at home. I believe the role of culture and creativity in creating a better future is the foundation for a brighter and better future for the generations that follow. Hassan Mahamdallie is currently working with Common Wealth to write the upcoming play ‘I Have Seen the Enemy (and the Enemy is Us)’. Having worked as Senior Officer for Diversity at Arts Council England, at the Aziz Foundation, and at Critical Muslim, he’s all about exposing the power relations that exist within the arts – so they can be dismantled and rearranged. We’re excited by Hassan’s approach. From day one he’s been present, feeding into the process and collaborating with us in creating a visceral world that the audience can explore. We’re drawn to Hassan’s way of thinking, his politics, his ideas – and we love the way he sees the world and how he writes about it. We can’t wait to create with him. 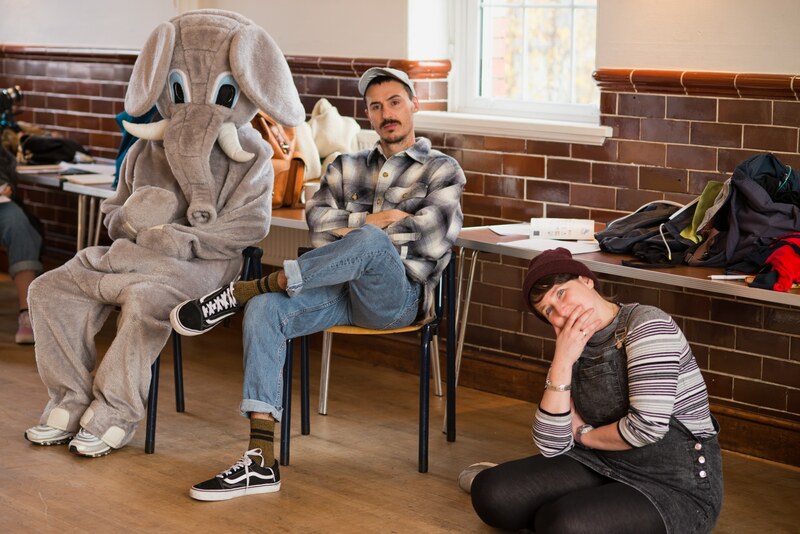 Hassan: Rhiannon and Evie are creative and radical – an ‘un-common’ combination for the arts today that I really value. They have a way of working that is distinctive, theatrical and rooted in values of community, solidarity and truth-seeking. Working with them is helping me to remain curious about the world. Hassan: Working collectively means creating a working process that can encompass individuality of thought and emotion, combined into a shared vision that speaks to and with our fellow men and women. It should be about crafting a big vision made up of countless shards of unique lived experiences. Hassan: For me, culture is about what went before and where we are now. The imagination is an expression of our dreams of the endless possibilities for a better future as individuals and as a species. And our nightmares. Creativity is the harnessing of these desires, and art is a collective testing ground for what might come to pass. Common Wealth were talking to Becca Warner, nature-geek, urban forager and all-round wordy sort.